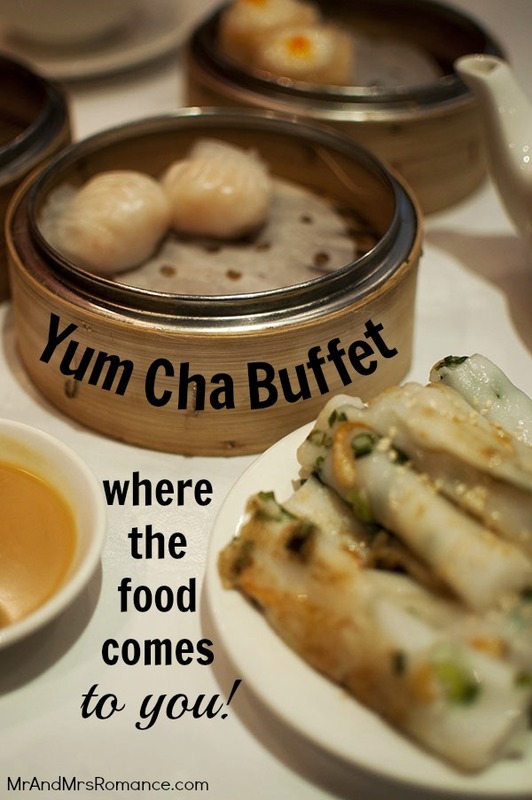 Yum Cha: where the buffet comes to you! Imagine a Chinese restaurant that has a buffet of all the food you can think of… then imagine that buffet brought to your table by ladies with trolleys. This is heaven. This is yum cha! I’ll let you into a little secret: when it comes to yum cha, I am a total pig. I could eat. All. Day. When everyone else says ‘oh, I am so full, I couldn’t eat another thing’, I’m nodding but I really want to jump on one of the ladies’ carts and eat everything on it like Slimer from Ghostbusters! Having never heard of yum cha before moving to Australia, the novelty factor is still there for me. That, coupled with the delicious food the Chinese ladies bring to your table on their little trolleys… I’ll be in need of dumpling rehab in the not too distant future. 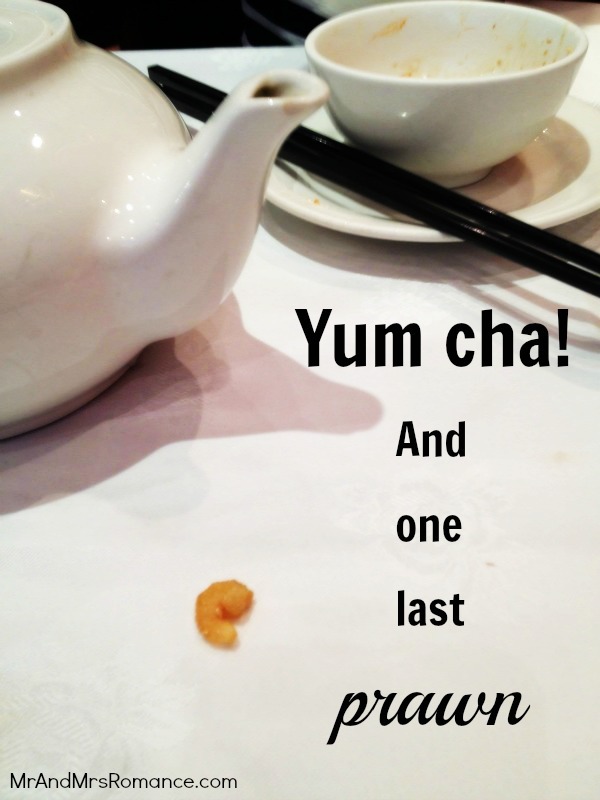 Yum cha literally means ‘drink tea’ in Cantonese, which is where this tradition comes from. Thinking back on the various dumpling campaigns, I suppose I have drunk my fair share of delicious jasmine tea while I’m plundering what the steamed gow gee lady has left me. Drink a lot of it! Not only do you get free refills, but it also acts as some kind of stomach sedative. In other words it helps you eat more! If you want a fresh pot, leave the teapot lid at an angle and the waiters will replenish your tea when they come to clear any empty plates. 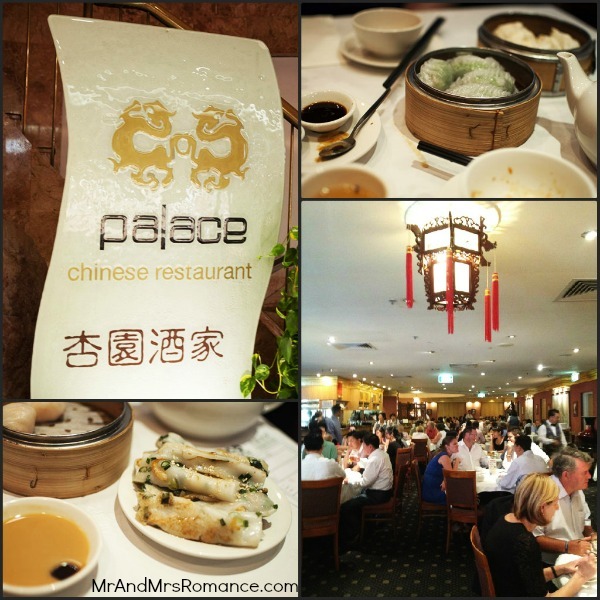 My most recent foray into dumpling heaven was to the Palace Chinese Restaurant, Piccadilly Tower, Castlereagh St, Sydney. It’s got a nice décor, there are about as many waiting staff as there are patrons, and the food is really good. 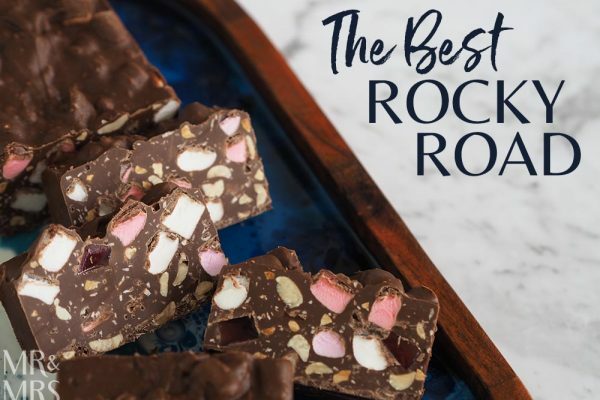 Check out what Mrs Romance and I ate… please don’t judge me! Steamed prawn, spinach and garlic gow gee! 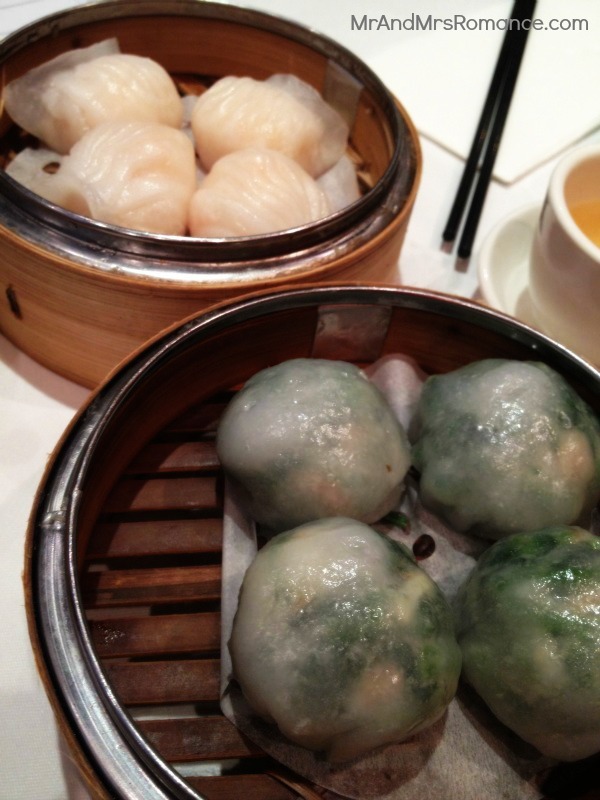 Prawn gow gee (top) and garlic and greens dumplings (bottom). 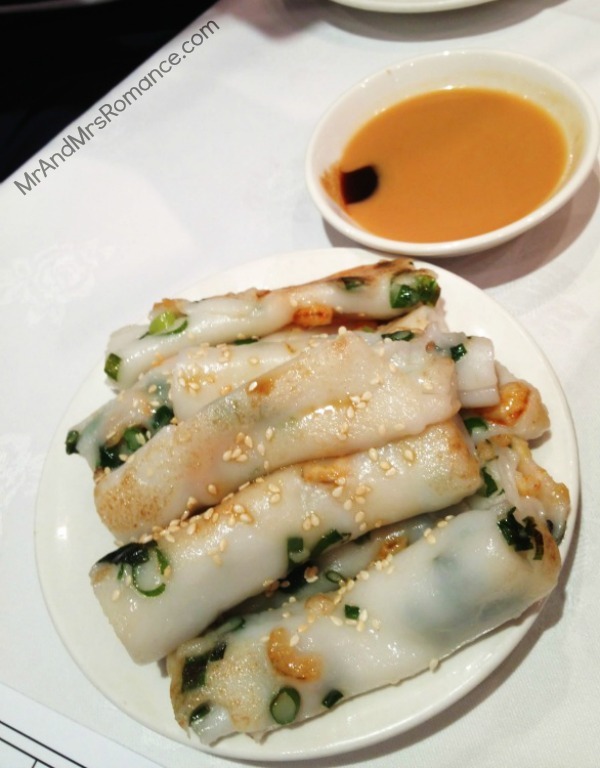 Rice noodles stuffed with crispy shallot and shrimps. 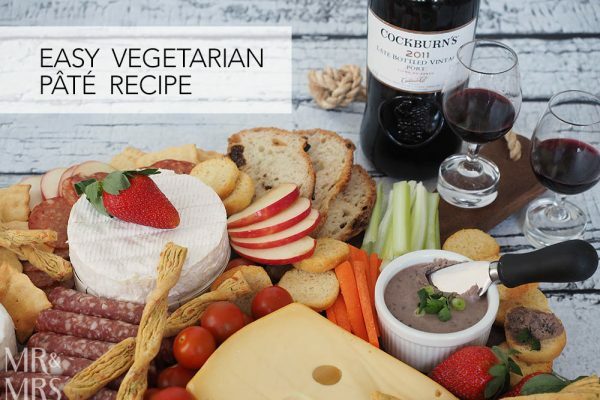 The sauce is just… drool-worthy! I’ve learnt another good tip about pork buns – a new favourite to my eating repertoire: a good pork bun should have split apart slightly when you get it. This means the bread and filling have been made by an expert. Be warned though: get a good one and you’ll be hooked like me! These are (or were!) excellent examples of pork buns. 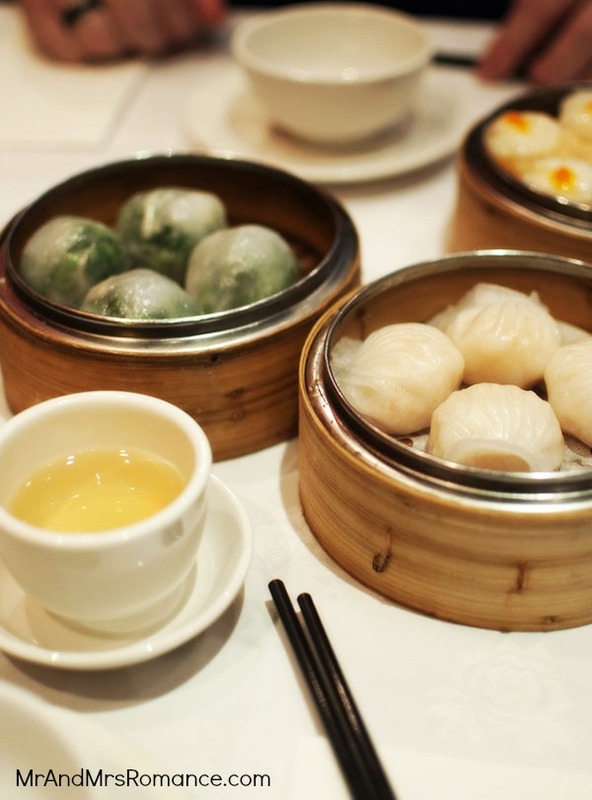 We are blessed with so many options for yum cha here in Sydney. Palace Chinese Restaurant – if what you’ve just seen hasn’t convinced you, head over to Piccadilly Tower via Pitt or Castlereagh Street. Doubt you’ll regret it! 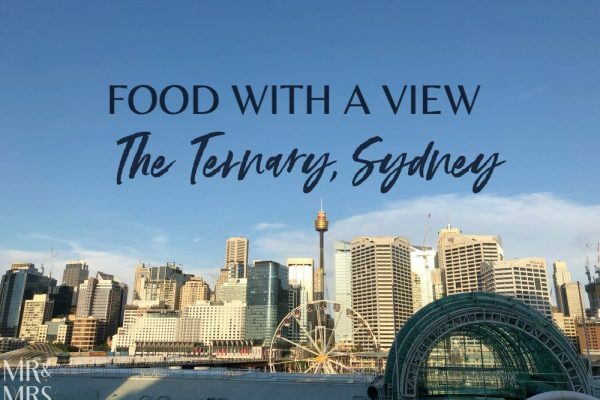 Marigold Hotel – the biggest yum cha here – two levels of foodness! This place is an institution. East Ocean Restaurant – another mega restaurant in the city. Sky Phoenix – revamped from after the Westfield took over – this restaurant is much improved. Dynasty Yum Cha in Canterbury. 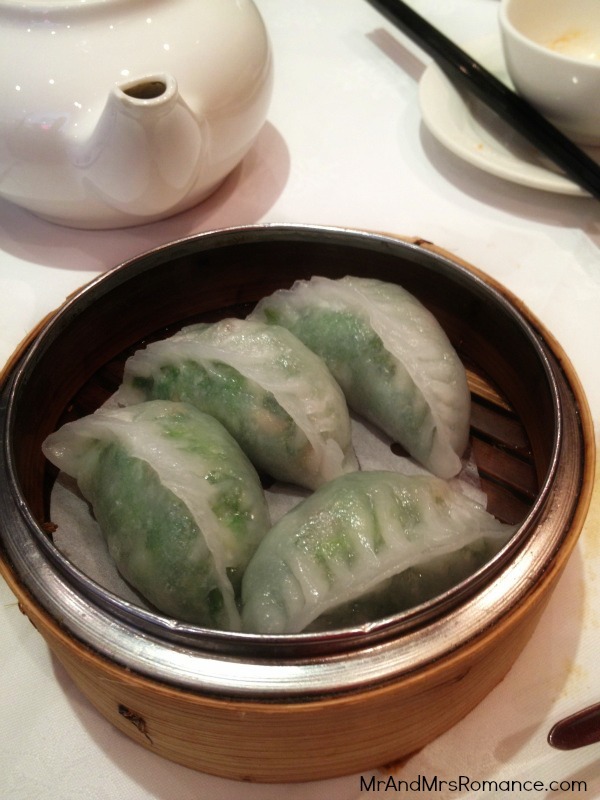 For a much more extensive listing of all the places in the Sydney area offering yum cha, check out this on Urban Spoon. 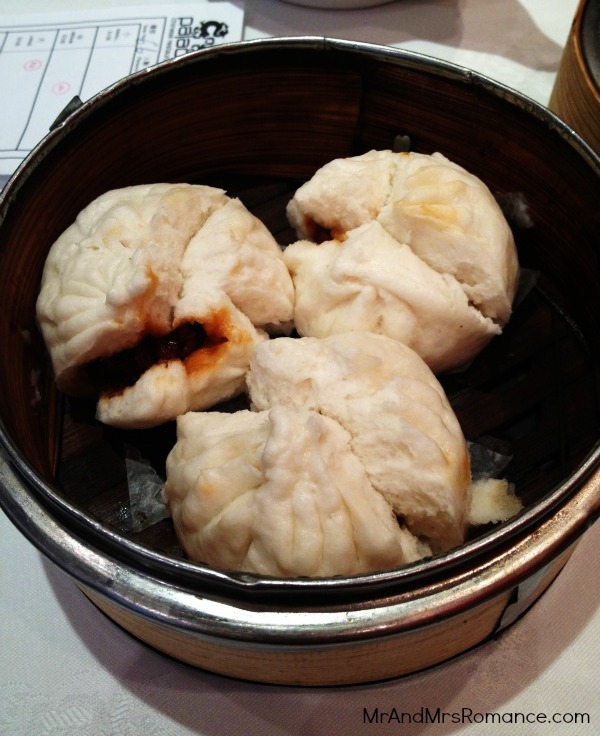 Where do you go for yum cha? Tell us about it! If you love yum cha, you should go to the one that sits inside/next to Souths Leagues Club in Maroubra. AMAZE. I’ve never had Yum Cha but have literally just sent an email to my sister asking if we can try it VERY soon!! Tell me about it, Lorraine! Lurv dumplings. I like going to yum cha with Mrs R because I think she understands me and doesn’t judge. And is also a dumpling fiend like us!! 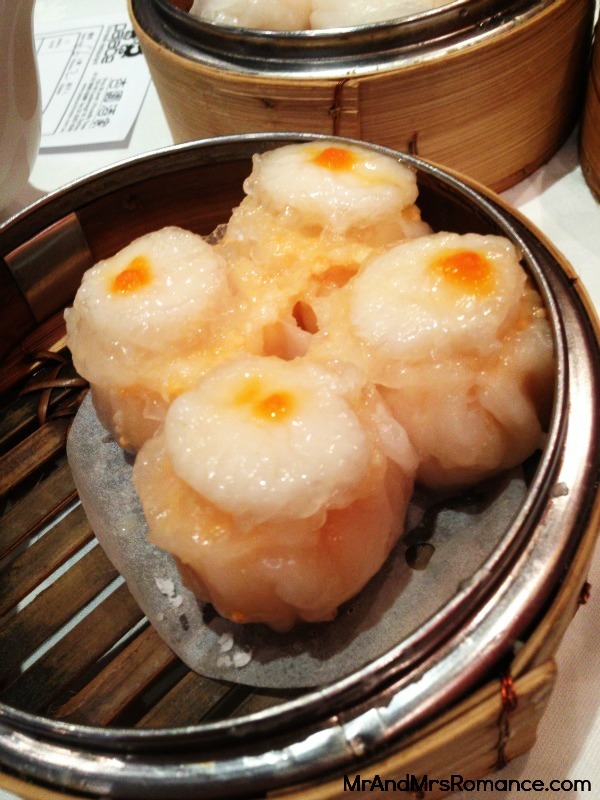 I LOOKING FOR YUM CHA BUFFET IN SYDNEY.I DO NOT MIND THE PRICE. Our favourite is Sky Phoenix in Pitt Street Mall (http://www.phoenixrestaurants.com.au/sky-phoenix/yum-cha) – the East Ocean in Chinatown is also great (http://eastocean.com.au/Yum-Cha/yum-cha.html) and the Palace (http://www.palacechinese.com.au/?action=YumChaGallery) in Picadilly Tower on Pitt Street is also good. For yum cha deep in suburbia, Phoenix Rhodes and Parra is good, a slightly fancy ambience (noise levels still high) and they have good dessert variety (Tau Foo Fa my go to dessert!). 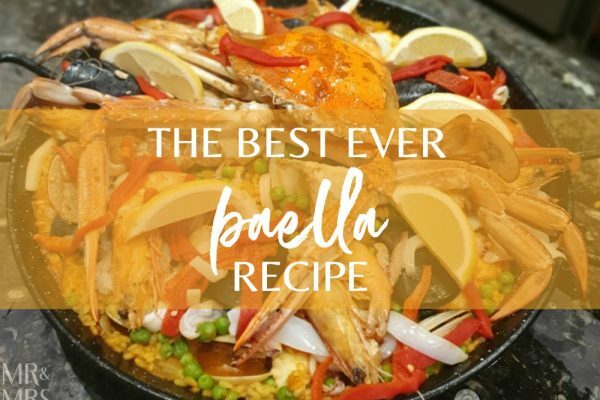 Other cheaper options are the ones in Parra Leagues Club and of course, North Ryde RSL – good value for money and the dumplings are delicious too. Chatswood has plethora of dumpling options and if you have a hankering for soup-filled dumplings, Taste of Shanghai in Eastwood. Hi Mary! Thank you for your recommendations! Love to see what other people have discovered in the world of food! It’s funny you should mention Phoenix Parra – we went there about two or three months ago on a random trip west. Thought it was pretty darn good! As for the Parra Leagues, we go there quite a lot with Mrs R’s sister, who lives out that way. Love that big tree that runs up inside the middle of the building! Quick story about the North Ryde RSL btw – we went there years ago with Mrs R’s family. I’d forgotten about the ‘no flipflops’ rule in RSLs so they wouldn’t let me in. Mrs R’s dad paid $50 for a pair of the ugliest Crocs I’ve ever seen – the only footwear available in their little gift shop – so that we could go in! Amazing I couldn’t wear flipflops but green and orange Crocs: no problem! Taste of Shanghai for soup-filled dumplings? I’m there! Thank you so much! Damn I love those dumpos!